La Cité du Vin is the only cultural center in the world offering this approach to wine to a wide audience. It is a place accessible to as many people as possible and open to all: people with disabilities, families, international tourists (trilingual signage and hand-held guide available in eight languages). 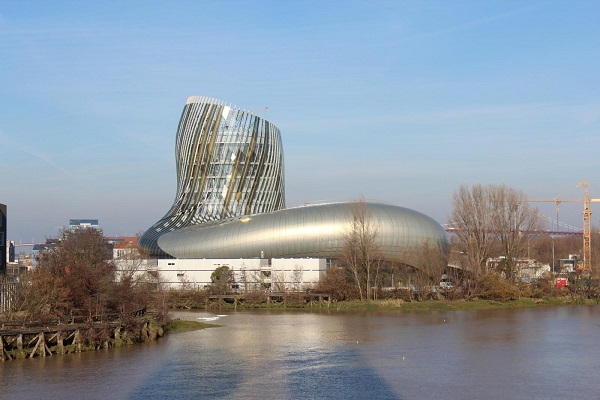 Designed by the architectural firm XTU, Anouk Legendre and Nicolas Desmazières, La Cité du Vin was established on the former Forges site on the banks of the Garonne, in the Bassins à Flot district in northern Bordeaux. From the laying of the foundation stone in June 2013 to the inauguration of the finished building in late May 2016, three years of ongoing, spectacular work have created this majestic structure unique the world over. Technical expertise, raising the bar, endurance and customisation were the key concepts behind the construction of La Cité du Vin.